Peppermint hot chocolate is a festive holiday beverage. Instead of paying $3 for a hot chocolate at the local coffee shop, make your own specialty drink at home. This recipe is so easy that you'll want to whip it up throughout the holiday season. Bittersweet chocolate is best for this peppermint hot chocolate because sugar is added to the mixture and you do not want your hot chocolate to be too sweet. I recommend using a chocolate with 70% cacao (the ratio of cocoa solids to cocoa butter) for an intense chocolate flavor. Make sure you serve your peppermint hot chocolate with whipped cream and miniature candy canes. Combine the milk, sugar, and salt in a medium saucepan and heat over medium-low heat. When the milk mixture just begins to form bubbles around the edges, add the bittersweet chocolate, and stir, until melted. Take the mixture off the heat and stir in the peppermint oil. 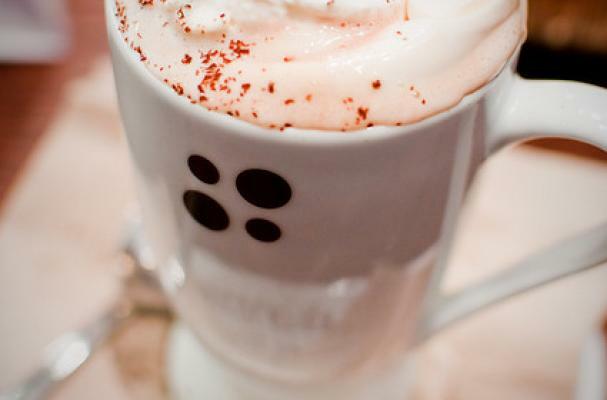 Divide the hot chocolate among mugs and top with whipped cream and serve with a candy cane.